Is something causing you emotional pain? 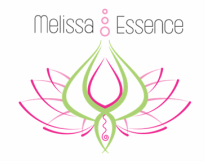 ​Melissa holds a safe supportive space to resolve problems and relieve pain and confusion. Often we are unaware of the underlying wounds that trigger many issues we face in relationships, work and general living. Melissa will assist you to uncover the true source of the pain and heal. She offers a mixture of practical tools and information with processes to facilitate healing & deeper awareness of self. There is hope, and healing is possible. ​next step in your life? A coaching package will support you to step into your power and live the life you imagined. Committing to deep support like this screams to the universe "I'm ready!" ​Melissa offers a unique blend of support to help you get to where you want to be while honoring your soul and emotional growth.